Madras University is one of the oldest universities in India which is situated in Chennai, Tamil Nadu. 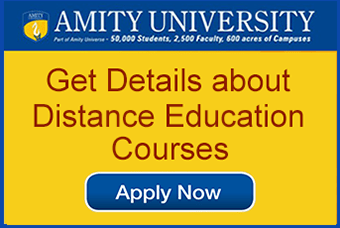 This university is one of the best academic institution for open and distance education in the state of Tamil Nadu. This university was established in the year 1857 by an act of Legislative Council of India for a systematic education system in India. This University has been organized with the model of London University. The university has been accredited by NAAC with a high grade consecutively in the three accreditation cycles, and in the 3rd cycle accredited with “A+” grade. The university is recognized as one of the first five Universities for the UGC’s prestigious programme, “University with Potential of Excellence (UPE)” and the University has been ranked 5th at the national level for the second time as per India Today Nielson Survey. The university has Institute of Distance Education (IDE) which offers 22 Undergraduate Courses, 14 Postgraduate Courses, 9 Postgraduate Science Courses, 5 Professional Courses, 16 Diploma Courses and 12 Certificate Courses. 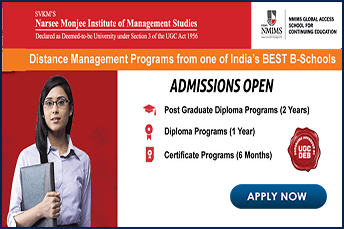 The admission eligibility for the candidates applying for distance MBA offered by Madras University under IDE is that candidate must have passed his graduation from any UGC recognized Universities. The candidate will be required to submit the degree for verification at the time of admission. The university provides admissions throughout the year for all these 78 Programmes in two streams namely Academic Year Admissions and Calendar Year Admissions. The university offers admissions through authorized Spot Admission and Study Centres. The IDE has 30 Spot Admission Centres located in different parts of Tamil Nadu. On-the-spot Admissions: First-year students looking forward to getting admissions through this gateway need to be present at the On the Spot Admission Centres with all the required documents and certificates with their original copies. Single Window Admissions: Candidates who want to make it directly to the University’s campus can make use of the Admission Centre better known as the Single Window Admission Centre set up at the Chepauk Campus of the university in the IDE premises, Chennai. The centre remains functional from morning 10:00 AM to evening 5:00 PM daily. It is expected from the candidate that they collect the prospectus and application forms from the university counter by paying a nominal amount of INR100 in cash and paying the required registration fees at the Registration counter. 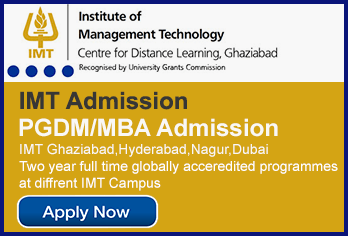 Why Madras University Distance MBA? Self- Learning Materials: The University provides each student with printed study materials for enabling them for self-learning in both theory and practice. The study materials can be collected from the study centres of the UNOM. Counseling Sessions: UNOM conducts regular counseling sessions at various centres throughout the state for the students. The session is held by University experts with the main object to give students the opportunity to clear their doubts and queries. Project Work: For a proper understanding of the concept the students are also given practical and projects relevant to their subject. Practical examinations are held at the designated institutes as per the schedule of the University. The institution has provided opportunities to most of the peoples who were unable to complete their educational career, working professionals and government servants through distance course in MBA and other subjects. The university has adopted a standout feature for IDE course through providing printed learning materials and setting up of study centre in all over India and abroad.